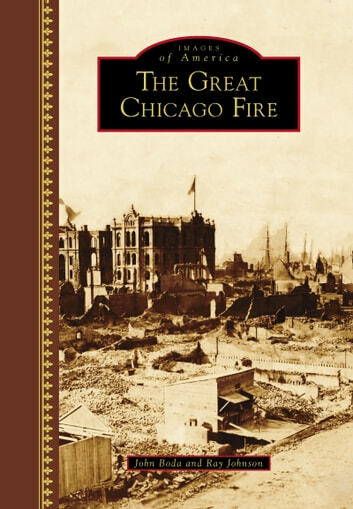 After a hot and very dry summer, Chicago was largely a wooden tinderbox awaiting a spark that would come on the Sunday night of October 8, 1871. What became known as "the Great Chicago Fire" was a massive firestorm that moved faster than most men could run, fueled by southwest winds of at least 30 miles per hour. The heat was so intense it melted stone and brick buildings in minutes and turned sand on the lakeshore into glass. A total of 18,000 buildings were destroyed. About 100,000 were left homeless, and over 300 lost their lives. The very same day, and nearly the same hour, both the Lower Peninsula of Michigan and Peshtigo, Wisconsin, suffered similar firestorms. Peshtigo's was even worse, creating an event that came to be known as "the Peshtigo Paradigm." Many people believe the three fires forming a huge triangle of destruction were related as one with cosmic causes, and it remains a mystery to this day.